In the corporate world, an interview is considered as the final test for accessing a candidate’s competencies, abilities and aptness for the role. It maybe true that over time, a recruiter tends to develop his own way or method of conducting an interview, the bottom line is that he must extract the right professional, psychological and functional insights from a candidate to make the best hiring decisions for his company. We all want to know how to separate cream from milk when it comes to hiring and, in this article, we are going to help you achieve that. Ready to prepare your dream team? Depending on the industry, geography and the role itself, an interviewer makes fine tunings into his hiring process, but it can be broadly divided into five categories. Each one has its own pros and cons and one can employ a blend of these to achieve desired goals. Let’s look at these closely. It must be noted that interview is a resource and time consuming process and one must employ methods that weed out misfits and weaker candidates effectively. Interviews held over a telephone or a video call help in a quick candidate assessment when you have a long list of candidates. What the CV may not reveal can be probed through a telephonic interview and the recruiter can draw conclusions based on the conversation, tone and responsiveness of the candidate. Assessment rounds have become a standard for mass hiring. 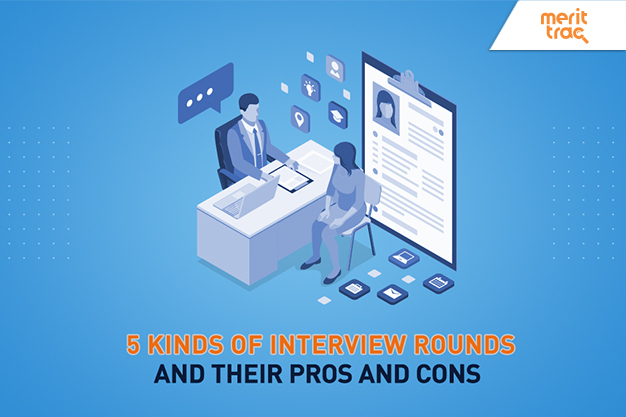 Hiring experts believe assessment rounds are best suited for fresh graduates and help in assessing multiple skillsets and evaluating talent on individual and group skills. A typical assessment round can last a full day and may include presenting a case study, group tasks, personal interview, psychometric and physical tests. Many companies employ innovative strategies like games and experiential case study based assessment platforms like Authess to measure competency of candidates in diverse role based situations. Considered a gold standard for evaluating a candidate, face to face interviews can range from soul probing conversations to a stress interview making the candidate sweat all over. A face to face interview allows the recruiter to gauge a candidate on many parameters be it body language, interpersonal skills and spontaneity. It also helps in testing a candidate’s domain knowledge by quizzing his theoretical knowledge. An interview panel is considered a more accurate method of conducting a personal interview. It takes away the risk of personal bias and offers a well rounded assessment where every member of the panel adds a valuable insight about the candidate. A less popular interview process these days, group interview tests more that one candidate at a go. The interviewer asks the same question, or the next sequential question to a group of candidates and may use elimination, scoring or rapid fire rounds to assess every candidate. This interview process tests the competitiveness of candidates and allows the hirers assess a large number of candidates. Interviewing may not be an exact science and many would agree that there is no right or wrong way to conduct an interview, but now-a-days we are using technology to turn into a near exact science. Simulations are changing the conventional hiring process to deliver better results in role-based situations. Like MeritTrac's CodeTrac , a performance-based coding platform that provides real-time feedback to help companies assess candidates’ coding skills for performance benchmarking and effective recruitment.The platform is integrated with domain-based tests to assess candidates’ end-to-end full-stack software development capability and benchmark it with industry standards. By leveraging CodeTrac, organizations can design an efficient developer recruitment cycle, bridge skill gaps for employee career progression, build customized coding scenarios based on business needs, and tailor pre- as well as post-training requirements.